The power cord comes with the charger. Please check the voltage and amperage of your charger before sending your order. Caution : do not rely on the reference you have on your current charger and make sure you order a charger compatible with your laptop. You can use our configurator by entering the exact model of your laptop. 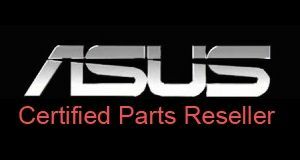 All Asus spare parts compatible with your laptop will show up from this request. If you are not sure of your selection or if you can not see your model of PC, do not hesitate to contact us so that we can assist you in your purchase.